Looking for a great activity to kick off the move towards the Common Core standards for Social Studies? 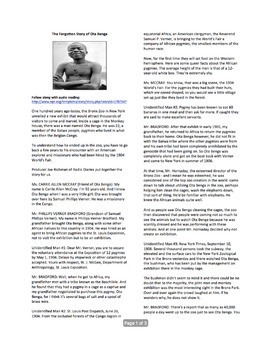 This activity is taken from a secondary source and radio program on NPR. 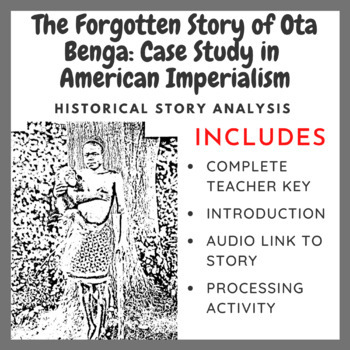 The story of Ota Benga details the cruelty of Social Darwinism and American Imperialism in Africa. 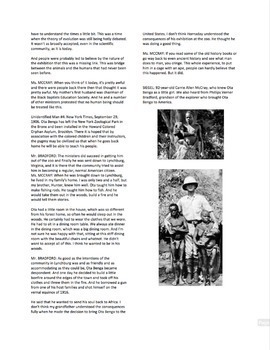 After students listen to the story (link to the audio reading of the story is provided) while following along with the text, students are then asked to come with the main idea of the story and to produce specific evidence from the story to support their main idea (CCSS.ELA-Literacy.RH.9-10.2). 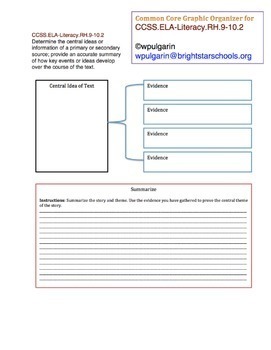 I have provided a blank graphic organizer that can be easily reproduced and that is aligned to the Common Core standards. I use this story when I teach my students about imperialism in World History and American imperialism in United States History. It is a powerful story that will give your students a keen insight into the cruelties and injustices of the past. This activity is linked is ready to use! Enjoy!